Home Culture When WhatsApp Gifted Us Cool New Stickers For This Diwali! 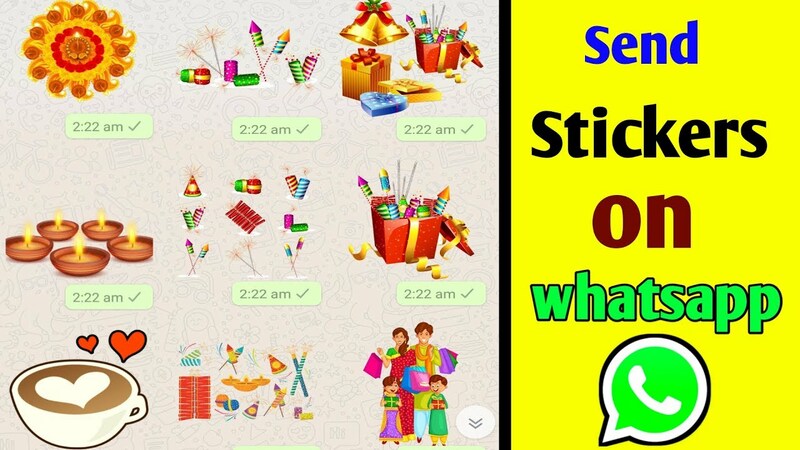 When WhatsApp Gifted Us Cool New Stickers For This Diwali! These were perhaps the cutest gifts we got! You know what is the difference between WhatsApp and your ex? WhatsApp knows how to keep things fresh and interesting. What used to be a simple messaging app is now the primary medium of communication among most of the human beings who have access to technology. What makes this app so endearing to everyone is the fact that it recognizes all of us are essentially lazy beings who would rather seen zone their own family than have to type out a whole sentence, because let’s be honest, typing counts as hard labour too. Emojis and gifs are thus, not only fun ways to communicate our feelings, but also are the reason why your uncle has not yet found out that those forward messages he keeps sending in the family WhatsApp group are not really making anybody laugh. But looks like WhatsApp is yet not convinced if their wordless communication features are enough to make even the most intense couch potatoes want to keep up with their inbox notifications. Hence in its newest update, the app has rolled out the sticker feature, where you can not only use its own sticker packs but also access third party stickers. And we are sure you have already received loads of them for this Diwali to start with! The platform’s own sticker packs include characters Cuppy, Salty, Komo, Bibimbap Friends, Unchi & Rollie, Shiba Inu, The Maladroits, Koko, Hatch, Fearless and Fabulous, Banana, and Biscuit. The more time progresses, the more we humans seem to want to go back to our old ways of communicating- using pictures and symbols rather than our own words. Surely this new WhatsApp update has Darwin rolling in his grave. Apart from that, thanks to this new update right in the middle of the Diwali season, wishing others has got much easier without seeming to insincere about it. Now your parents don’t need you to type out a big Diwali message to send to everyone and no more of those irritatingly long Happy Diwali forwards. Spread the word, folks! Grab your nearest WhatsApp enthusiast aunts and uncles and teach them this new feature and save yourself from the agony of Aristotelian Diwali texts. Everybody say thank you WhatsApp! Next articleThugs Of Hindostan Movie Review: Aamir Khan As Firangi Is The Brightest Among The Thugs!